In the curatorial statement which accompanied Our Objects: Contemporary Ceramics in Context, Katy West outlines her strategy in pairing the work of contemporary independent ceramicists with industrially produced historical ‘foils’, which is ‘to highlight similarities and illustrate discrepancies that exist between new work and recognisable generic types… my approach is consciously personal but is nevertheless intended to illuminate aspects of the medium’s history and tradition’. She made allusions to the importance of Oriental pottery in teaming a Campsie Ware Stork with Dawn Youll’s rationalised landscape; a Willowesque blue and white bowl with Hans Stofer’s repairware; a Kutani-Ware Bijin with Xavier Toubes’s entropic unform. Elsewhere, her links suggested both the critical dismissal of kitsch as spurious and an oppositional legacy of modernism. She also implicated the ability of objects in the home to insinuate themselves in the psyche and the ways in which vernacular pieces stretch into murky folk history whilst informing the production of industrial form—James Rigler’s schematic mouth in correlation to the insouciant lip of a Toastware jug and Richard Slee’s jocular ‘Drunk Toby’ paired with a pock-marked predecessor. It is not without guile that all of West’s historical precedents owe their being to the development of industrial processes in the late 18th/early 19th centuries and the concomitantly expanded domestic market which burgeoned in their wake. Derbyware, Royal Doulton and Wedgewood figurines and bowls are press-moulded rather than thrown and reflect sentimental, plebian interest in fashion and interior decoration in their subjects and styles. Industrialisation was the most important factor in displacing ‘skill’ from craft and, in particular, curdled its gradual separation from art. That is not to say that industrialisation did not affect the production of art, rather that in the complexity of circumstance leading up to and beyond industrialisation, the artisan suffered diminished status, whereas that of the artist was augmented. Issues relating to the supposed superiority of art over craft stretch to antiquity, to classical Greece. The medievalist TA Heslop, points to the Middle Ages, specifically the 12th century, as having particular significance for understanding the status of crafts today: ‘Put simply, this period saw the beginning of a relative decline in the importance of the arts associated with forge and furnace…and the relative rise in those which seemed to privilege figuration.’ He attributes this to the incipient change from command to consumer economy as court patronage began to prise the arts from service to the Church and theological ideals. However, there was no general split between ‘art’ and ‘craft’ in the Middle Ages, and the ‘workshop’ was the primary site of production. Beyond the confines of the workshop, artisans formed guilds according to their trades and localities. Insistently hierarchical, the system of guilds was settled in order of precedence according to political and economic influence rather than supposed superiority or uniqueness of skill. Potters, it seems, were less integrated into the guild system than other trades and crafts, possibly because pottery was an inherently rural pursuit, literally grounded in agricultural life. Guilds evolved in emergent towns and cities. Painters and sculptors were artisans and guild members much as ironmongers or goldsmiths were. Though the specialised artists’ Guild of St Luke traces its origins to 14th century Antwerp, it is instructive that in Florence at the same time, painters belonged to the Guild of Doctors and Apothecaries, while sculptors were Masters of Stone and Wood. In 1593, Renaissance Rome saw the founding of the Academy of St Luke, which trained students in drawing, painting and artistic theory. In some respects the Academy operated like a guild in de- termining who could practise as an artist, who had access to the market for commissions etc, but more importantly, it facilitated the explicit attachment of painting and sculpture to the liberal arts, thereby elevating the work of artists intellectually above that of artisans. The 17th century artisan was, in a Cartesian sense, bound in production to unthinking body. By the late 18th century, when the guild system was attracting criticism from Enlightenment philosophers for protectionist tendencies that inhibited free trade, the dissemination of knowledge and technological advancement, artists (Sir Joshua Reynolds, founding member of the Royal Academy, for one), were at the forefront of salon culture, on social par with industrialists like Josiah Wedgewood rather than his potters. As industrialisation broke the power of the guilds and replaced the artisan with the machine operator, the skills associated with craft became ‘reproducible’, and the artist, styled as the possessor of singular ‘unreproducible’ talent, was vaunted as creative genius. The artist’s gifted ‘touch’ rather than practiced ‘skill’ became increasingly determinant, and he (necessarily ‘he’) was bound for the garret rather than the workshop or (in the wake of industrialisation) the factory. Rousseau, a forthright critic of the guild system, was talismanic for 19th century Romantics in his espousal of the truth of pure, unmitigated subjective experience which provided a philosophical grounding for the notion of ‘genius’. Branding the Romantics ‘cultural misogynists’, Christine Battersby asserts that, ‘For the Romantics the figure of the genius was used to distinguish between the work of Art (appreciated by an elite group of critics) and works produced for popular consumption by the masses’. This distinction was coloured by a gender bias in the treatment of the fine arts as the (high) culture of individualist males and the decorative arts/industrialised craft as the popular, undifferentiated culture of the femininised masses. 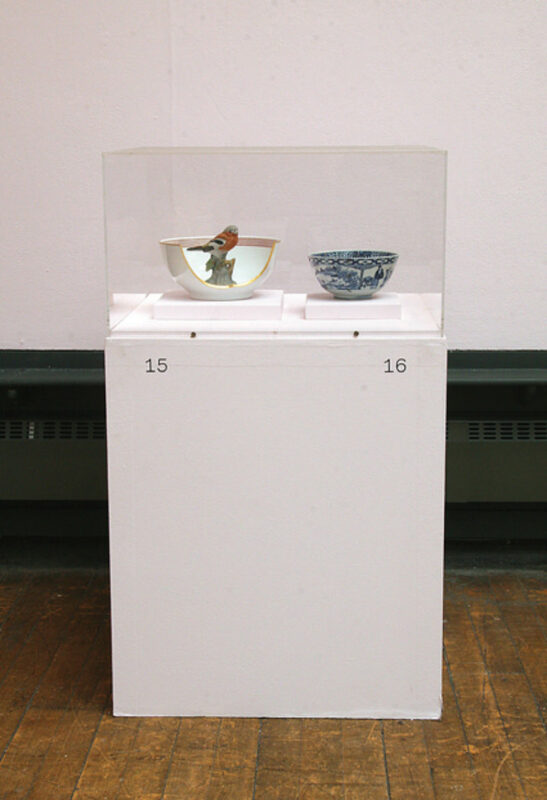 Underscoring this point in Our Objects, Barnaby Barford’s reconstructed tabloid tableaux appeared in conjunction with a porcelain minstrel and a Royal Doulton figurine, ‘Lady with Rose’. by industrialisation through crafting high quality, aesthetically appealing design in counterpoint to poor quality, thoughtless mass-production. However, the impracticalities of the Arts & Crafts movement contributed to its condemnation at the turn of the century as retrogressive and functionally elitist: it was viewed as Luddite in its disavowal of the liberatory machine and its products were prohibitively expensive. Post-historically, its dogged medievalism and comfortably archaic approach is sometimes read as a prognostic for neo-feudalist life-stylers like Hugh Fearnley-Whittingstall. Nonetheless, the Arts & Crafts’ pioneering role in addressing political issues through art has been a fundamental influence on others throughout the 20th century. The Omega Workshops, established in Bloomsbury in 1913 by Roger Fry, attempted to free the Arts & Crafts philosophy from stylistic enslavement to the past by marrying it with modernist aesthetics. Fry was of pivotal importance to ceramics in the early part of the 20th century, and, with Herbert Read, established the medium critically within a framework of pure abstract, sculptural form and expressive colour, something that informed the development of ‘Studio Pottery’ in the interwar years. West chose to illustrate this genealogy in Our Objects by relating the most self-possessed ‘studio’ piece, Alison Britton’s ‘Sluice’, 2007, to an Arts & Crafts tile. In common with the most radical Soviet manifestations of the political tendency to amalgamate ‘fine art and the arts not fine’, (constructivism, productivism), the Omega artists were committed to the idea of individual anonymity in production and, not unproblematically, to collective authoring. Given the pervasiveness of the Romantics’ construction of the artist as supreme individual, it is no surprise that notions of collective authorship were reflexively explored first through amalgamated art and craft production. Significantly, in the same timespan that saw the brief life of the Omega Workshops, Marcel Duchamp presented ‘Fountain’, 1917, in New York. It was ‘the nomination of’ an industrially produced piece of ceramic sanitaryware that ruptured (and continues to rupture), ‘the fine arts’. John Roberts, in The Intangibilities of Form, discusses Duchamp’s unassisted readymades, of which ‘Fountain’ is the pre-eminent example, at length. 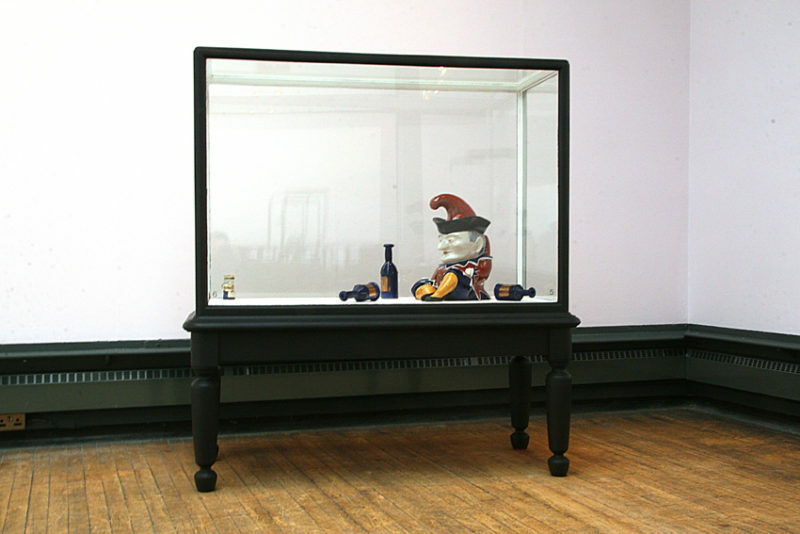 He contends, using the notion of anticipated ‘delay’, that the readymade could not be fully appreciated until the conceptual flight from the object (art-as-commodity) in the 1960s ran into theories of appropriation in the 1980s, and art was exposed doubly to an inherited dismissal of ‘skill’ and to a crisis in the notion of authorial ‘touch’. ‘Skill and touch’ were critically remaindered in ‘craft’. For Roberts, the unassisted readymade returns art unapologetically to ‘skill’, albeit conceptual rather than manual. The artist is a semiologist working with ‘conceptual schema much as a designer, architect or engineer might’. In this formulation, the artist’s skill operates at a degree of remove from the physical art work. Originary myths of genius are discredited: artists are valued for their cultural nous. Cut loose from the imperative to embody skill or touch, the work of art is necessarily more dependent on context—historical or institutional—or recognition as art by those who are relevantly inducted. In practical terms, art becomes reliant on agency for delivery to its audience and/or market. in relation to context rather than artwork. To clarify, the slow change from command to consumer economy in the Middle Ages was instrumental to the privileging of figurative arts and the artist and the specific market conditions of 20th century capitalism saw the rise of the commercial gallery favouring, in line with modernism, the production of perpetually unique objects. Capitalism in its current manifestation sees both ‘skill’ and ‘touch’ lose ground to ‘signature’. In a global, and wholly integrated contemporary art market, the signature operates reductively, much as a branding mechanism, curtailing the autonomy of the artist, homogenising production and promoting convenient narratives. Where ‘skill’ and ‘touch’ are remaindered in craft, the importance of the object, as a self-sufficient physical manifestation, is asserted. As a result, ‘context’ behaves differently, in a responsive rather than imperative mode, and the object has the potential to counter some of the problems of reductivism. For me, this, and the questions raised by it, is the broader significance of Our Objects, an exhibition which enjoyed its historical foils unselfconsciously. 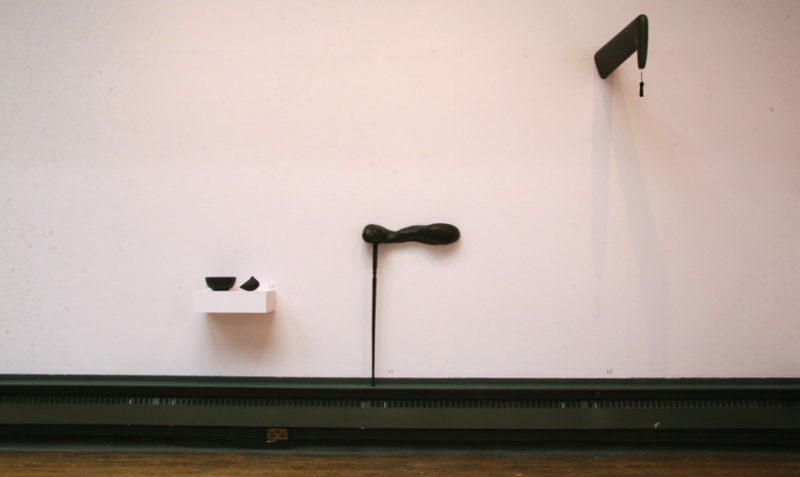 How far can objects affect the dominating behaviour of context and unbind the artist? How can the dematerialised art work similarly recover its imperative? Can any useful comparisons between the hegemony of context and the protectionism of guilds be drawn? Does the character of craft offer art autonomy and the opportunity for direct, unmediated access to audience?